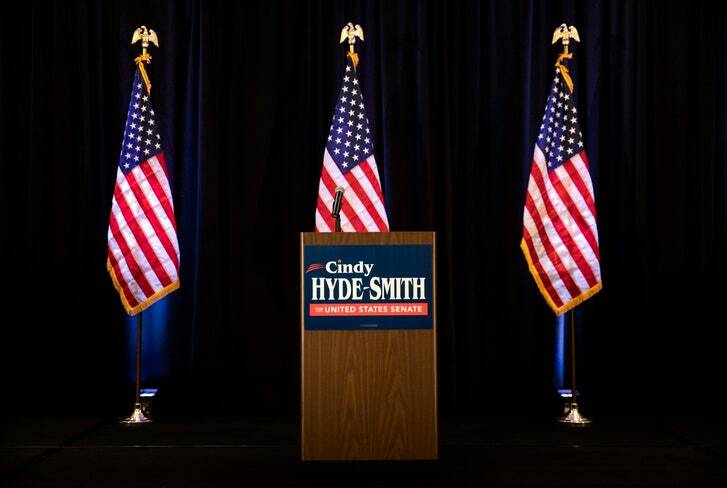 "By 11:50 Eastern Time on Tuesday night, as the results rolled in from laggard precincts, it was clear that Cindy Hyde-Smith had defeated Mike Espy in the U.S. Senate race in Mississippi, but in a larger sense it was history that prevailed. That history—a notably unsightly one for which people ought to be ashamed but which some prefer to burnish into a facsimile of glory—has everything to do with why an inflammatory white Republican in Mississippi never really faced a serious political threat from a black establishment Democrat in the runoff election for the Senate seat. Given that Hyde-Smith couldn’t breach the fifty-per-cent mark in the general election, on November 6th—triggering the runoff between Hyde-Smith and Espy, the top two vote-getters—those blemishes led many people to ponder the possibilities of an upset. Some Mississippi Republicans worried that there might be a replay of the Doug Jones upset in Alabama’s Senate race, last year, which is part of why they asked Donald Trump to appear at two separate rallies for her on the day before the runoff election. But the fear wasn’t justified. Hyde-Smith and her Republican opponent accounted for fifty-eight per cent of the votes on November 6th. Barring a significant reason for Republicans to have stayed at home on Tuesday or, almost inconceivably, to have voted for a black Democrat, there was not a strong likelihood that an upset was in the offing. It’s worth recalling that Roy Moore was both unpopular with the Republican establishment and a national laughingstock for weeks leading up to the Alabama election last year. His scandals, particularly the allegations of improper behavior with underage girls (which he denied), emerged during the most intense stretch of the #MeToo moment and disturbed Americans across political lines. None of that applied to Cindy Hyde-Smith. Espy employed a strategy that had been effective in other states with significant black populations: running up sizable margins with African-American voters, particularly urban ones, while peeling off a large-enough minority of white voters to secure victory. (It was used, for example, in Douglas Wilder’s successful 1989 gubernatorial bid in Virginia.) The strategy is not that different from the one that many white Democrats follow in statewide and national races, but the operative question for black candidates has been the extent to which they can appeal to white electorates. A handful of black Democrats won election in majority-white House districts during the midterms, but the strategy of winning super-majorities of the black vote combined with a sliver of the white electorate has remained the default for black candidates in statewide races. That’s why the gubernatorial defeats of Andrew Gillum, in Florida, and of Stacey Abrams, in Georgia, are so significant. Each was attempting to win over a large-enough share of white voters in highly polarized times and against opponents who played to racial resentments. Espy faced a particularly difficult situation. The population of Mississippi is thirty-eight-per-cent African-American, the highest percentage of any state in the Union, but racially polarized voting there meant it would be difficult to pull in enough white votes to win. There are other implications. Early on in this exasperating moment that we call the Trump era, it was possible to take dull comfort in the fact that Trump’s ability to violate the norms of American politics appeared to be unique. In a Trumpian display during the 2017 Virginia gubernatorial race, the Republican nominee, Ed Gillespie, crusaded against “illegal immigrants” and defended the state’s Confederate monuments even after white supremacists rampaged in Charlottesville, in the name of preserving a statue of Robert E. Lee. (One of their number is now on trial, accused of driving his car into a crowd of counter-demonstrators and killing a thirty-two-year-old woman, Heather Heyer. He pleaded not guilty.) Gillespie lost to the Democrat, Ralph Northam. Roy Moore cast himself in the mold of Trump during his doomed bid for a U.S. Senate seat. The lesson appeared to be that the precise formula of malignant charisma, bigotry, divisiveness, and misogyny that Trump used to great effect was not replicable. But the wisdom of that thinking has been called into question by some of the midterm results. Hyde-Smith’s victory means that, this month, three Southern white Republicans used cavalierly racist rhetoric in successful attempts to defeat three black Democrats in statewide races. In Florida, Ron DeSantis warned Floridians not to “monkey this up” by electing his rival. In Georgia, Brian Kemp billed himself as a Trump-like conservative who drove a large pickup truck so as to have room for the “criminal illegals” he might round up as he went about his day. The pre-Trump Republican Party certainly relied on the support of whites who held racially bigoted views, but it struggled for plausible deniability in such matters. With Trump, the racism is out in the open, and so, in some cases, is the willingness of the electorate to tolerate it. The Mississippi race reinforced something that has been impossible to avoid but difficult to accept: Trump’s imprimatur actually helped some Republicans win elections. Nina Simone titled her racial-justice protest song “Mississippi Goddam.” The shame isn’t just that the song remains resonant fifty-four years after it was released but that, looking at the landscape of 2018, there are still so many other places she could sing about."